FIFA 19 is proving to be a massive hit amongst football fans, with new features like the UEFA Champions League and 'House Rules' mode a huge success. There is also some noticeable changes to the gameplay this year, and the game feels more realistic and immersive than ever. While the most entertaining part of FIFA is scoring goals, learning how to defend properly is equally as important. 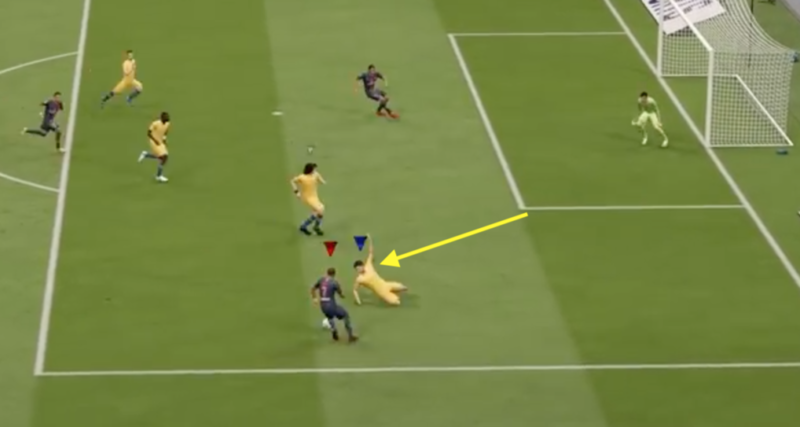 If you are struggling don't worry, we will show you how to defend in FIFA 19. Defending in FIFA 19 seems to be slightly easier than in previous versions of the game, with defenders much more adept at catching up with speedy opposing attackers. Even with the added defensive ability of players this year, there are still some useful tips and track you can use to bring your game to the next level. Take a look. Dynamic tactics allow you to set up your team in a way which best suits your style of play, both in attack and defence. We gave an in-depth guide on how to use custom tactics here. Some players prefer to have their team sit deep, while others prefer a higher line. You can alter aspects of your game such as your pressing style, which will determine how committed your players will be to harassing opponents with the ball. Below is an example of the constant pressure setting. Play around with the various tactics to find which best suits your style of play. Jockeying your opponent is an effective way to stop the ball-carrier easily dribbling beyond your defender. When an attacker is running at you, simply hold down the L2/LT button to perform a jockey. This means your defender will angle himself correctly towards the ball, and allows him to get close to the attacker. This should make it more difficult for the attacker to beat your player. You can hold the X/A button while jockeying to 'contain' your opponent, which will essentially make your defender automatically track the attacker in whatever direction he moves. This can be useful when near the sideline, although it can result in the ball being passed around your defence more easily. Use with caution. While a slide tackle looks great when executed correctly, missing one can quickly turn into a disaster. If you miss the opponent it essentially removes one of your players from that passage of play, leaving you a man light in defence. Some of the more skilful players will easily dance around the majority of slide tackles, so they should be seen as a last resort as opposed to your first option. Using the standing tackle (O/B button) will mean that even if your player does not succeed, he will not be caught out of position. One of the most common mistakes players make while defending is charging at the ball-carrier with their centre backs the second they get into an attacking area. This is just asking for trouble. If your CBs are not protecting the edge of your box, your opponent will be left far too much space to get in on goal. These players are the best defenders on your team, there is a reason they are the last line of defence. Instead of changing to control the CBs, use one of your midfielders to track the run. This will allow the defenders to stay in position, while you may be able to nick the ball away using one of the midfield players. Look none of us are playing FIFA online to make friends, do what it takes to win. If a player is launching a counterattack on the halfway line, hack him down. You may get a yellow card, but it can prevent a situation that would have resulted in a near certain goal. Be smart about it too. Do not perform a last man tackle in the opening period of the game, leaving you with 10 men for the remainder of the match. 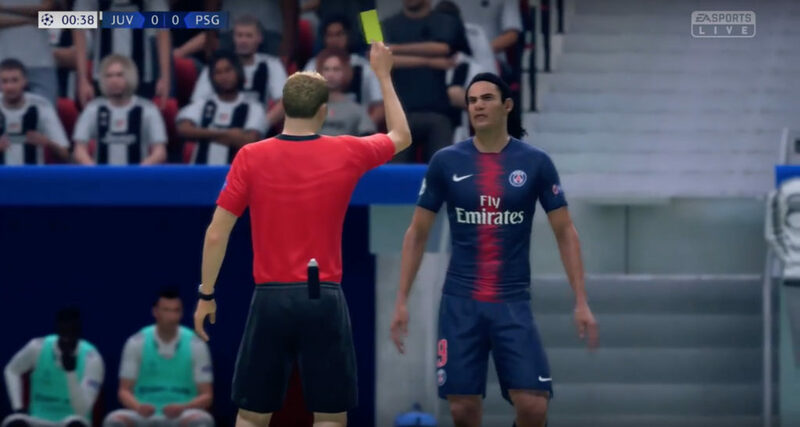 But do take the red card if you are holding on to a one goal lead in the final moments, just make sure to do it before the attacker gets in the box. There is two methods of switching the player you control in FIFA 19. The first is by pressing the L1/LB button, which will switch to a player determined by the CPU. You can see ahead of time what player this button will switch to, as that player will have a faded yellow icon over their head. The second way to switch player is by using the right stick. Simply push it in the direction of the player you want to control, and it will switch to that player. The second method gives you much more control, as you can change to any player immediately instead of pressing the L1/LB button multiple times. This can be key in defensive situations. All of these tips will help you defend better in FIFA 19, but you will only improve through practice. That includes both in-game and in the skill games, and the only way you will improve is through repetition.